Consumer Reports and online vehicle reviews have become a major deciding factor in new and used car purchases. Another major factor is long-term operating or maintenance costs. Car manufacturers know this contributes heavily to sales, so, in order to get more cars off the sales floor, what they do is push the scheduled maintenance out as far as possible so the stated calculated maintenance costs are lower. Car manufacturers know maintenance costs contribute heavily to sales, so they push scheduled maintenance out as far as possible so the stated long-term operating costs appear to be lower. 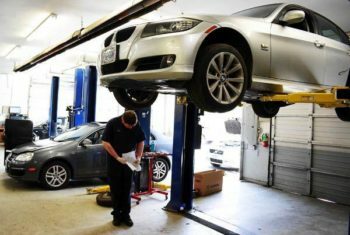 How often do BMWs need oil changes? A prime example of this behavior is being told that your new BMW requires an oil change every 15,000 miles. Now, on paper, this looks significantly cheaper than, say, a Honda that requires an oil change every 4,000 miles. That is until the engine blows up just outside of its warranty. Steve’s Imports recommends much shorter oil change intervals in order to avoid this fate, especially if you plan on keeping the car long term! Is transmission failure an issue with BMWs? All later model BMW transmissions have a sticker stating that they are “fill for life”, indicating that they are never to be topped off or changed. However, Bimmer transmissions tend to leak fluid. So, do we ignore the low fluid and let the transmission fail? No! We service the transmission like normal so that we get the maximum life out of our vehicle. 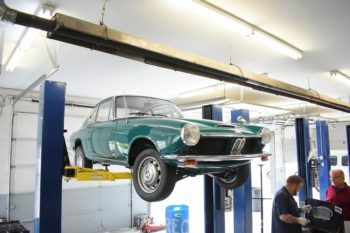 Service your BMW in shorter intervals than recommended by the manufacturer in order to get maximum life out of it. German vehicles are truly remarkable machines. They offer their owners above-average driving experiences and, if properly maintained, can last a lifetime. But ownership of a BMW is actually more of a relationship between three individuals – you, your car, and your BMW mechanic. In the end, every corner, every acceleration, and every repair is worth it. 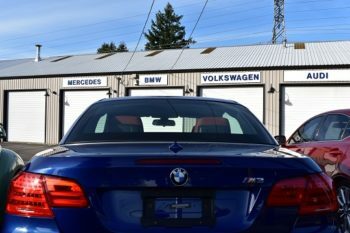 Most mechanics will praise BMW for its incomparable design, handing, and performance, but temper their praise by noting its need for precise repair work. What kind of precise repair work? 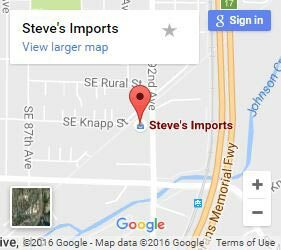 Here are some of the most common issues we fix at Steve’s Imports. If your car’s engine fans stay running all the time and it’s really noisy, or maybe there is also a humming or vibrating sound even when the car is off, it’s most likely the electric water pump and the electric engine fan. The reason they run full speed even when the car is not running is due to the computer sensing a malfunction in the cooling system and throwing it into a fail safe mode. If the amber warning light comes on while driving, then shortly after the light turns red and the car dies, it may be a failed electric water pump. The lights indicate an overheating issue, and this is the most common cause for the E90 and E60 to overheat. A lot of the time the pump will fail and cause the car to overheat and build excessive pressure which will spring a leak. A less experienced technician that came straight out of school and was guaranteed a job working at the dealer (where all the kids start) may notice the leak and stop there. Turn the car to the on position. Turn the temperatures to the hottest setting and the fan speed to the lowest setting. Press the gas pedal down to the floor for 10-12 seconds. This will turn on the water pump, which is audible. You should also be able to see a small stream flowing in the reservoir (expansion tank). If you do not see any flow, then it is more than likely a bad water pump. Dealerships tend to hire inexperienced technicians who might notice leaks but don’t take additional steps to correct them. Experienced master technicians at independent import shops always investigate further. Often the heater or AC fan does not work consistently, or the lower settings are sporadic or don’t work at all, but the highest full speed setting usually works. Even when the climate control is completely off, the fans can sporadically turn on. This problem is due to the blower motor resistor failing. The resistor lowers the power going to the blower motor for the lower fan speeds. A bad resistor has been known to drain or kill batteries. 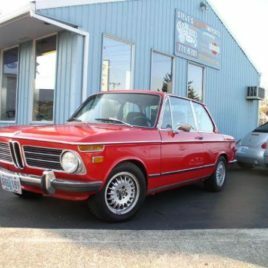 Check out our list of all the BMW repairs we’re most familiar with on our Portland BMW Repair page. Or, bring your soon-to-be BMW down to the shop for a pre-purchase inspection. 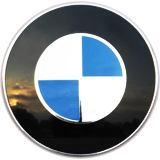 We look forward to helping you take great care of your Bimmer!